Oxford University Press, USA, 9780190230869, 416pp. In Inherit the Holy Mountain, historian Mark Stoll introduces us to the religious roots of the American environmental movement. Religion, he shows, provided environmentalists both with deeply-embedded moral and cultural ways of viewing the world and with content, direction, and tone for the causes they espoused. Stoll discovers that specific denominational origins corresponded with characteristic sets of ideas about nature and the environment as well as distinctive aesthetic reactions to nature, as can be seen in key works of art analyzed throughout the book. 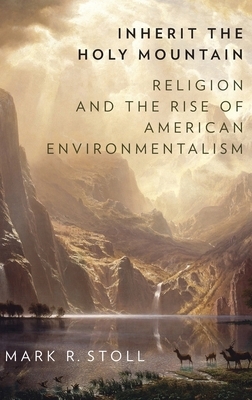 Stoll also provides insight into the possible future of environmentalism in the United States, concluding with an examination of the current religious scene and what it portends for the future. By debunking the supposed divide between religion and American environmentalism, Inherit the Holy Mountain opens up a fundamentally new narrative in environmental studies.